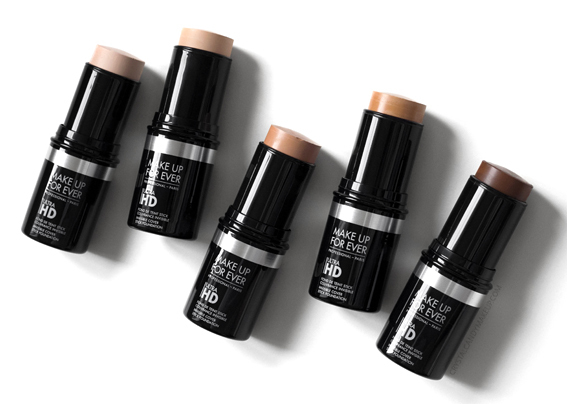 Good news if you loved Make Up For Ever's Ultra HD stick foundation, but couldn't find your perfect shade ; the brand added 5 new shades to the range. 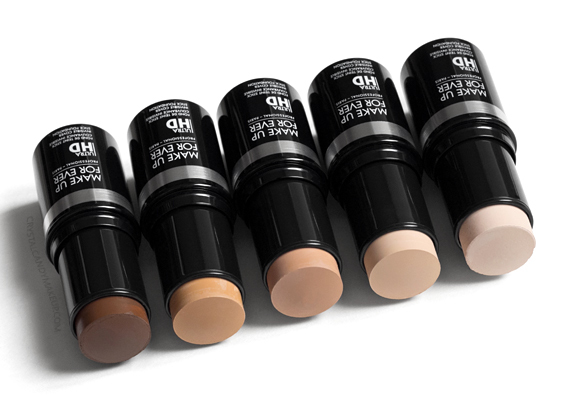 This foundation is now available in 20 colors ranging from a milky ivory to a deep chocolate brown! Y205 Alabaster is very light, I couldn't find a similar MAC shade. It's definitely lighter than NW10, and it has subtle pink undertones on me. Y215 Yellow Alabaster is slightly lighter than NC10, it has peach undertones. R330 Warm Ivory is a bit lighter than NW30 and it has pink undertones. Y375 Golden Sand is similar to NC37, it has yellow undertones. R540 Dark Brown is between a NW50 and a NW55, it has cool undertones (not too red, though). This shade is slightly darker than L'Oréal Total Cover in 312 Cocoa, but much less red toned. Left to right : R540, Y375, R330, Y215 and Y205. By the way I still prefer the Ultra HD liquid foundation as my everyday foundation, it looks a bit more natural. But I like to keep the stick in my purse for quick touch-ups! 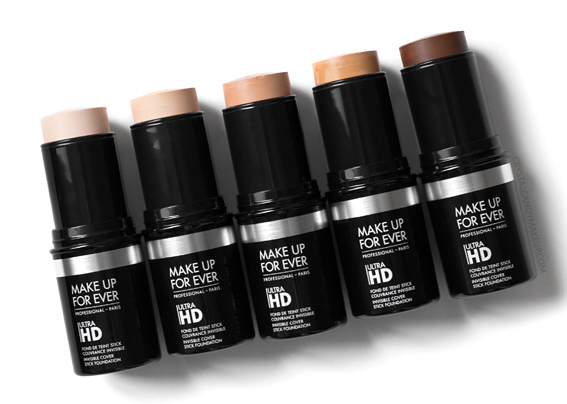 The Make Up For Ever Ultra HD Stick Foundation retails for $52 CAD for 12.5g.